BOHOL’S PRIDE. (L-R) Jefferson Querubin was named the Philippines Strongest Man for the third straight year while Joannie Mary Cabilo and Johnny Calulo placed fourth in the women’s under 64 kg category and second in the men’s under 105 kg category, respectively, during the Philippines’ Strongest Man and Woman 2018 held at Sparta in Mandaluyong City on July 22, 2018. Boholano Rey Jefferson Querubin has clinched the “Philippines’ Strongest Man” title for the third straight year, setting a Philippine strongman record in the process. Querubin on Sunday outclassed eight other finalists in the open category of the Philippines’ Strongest Man and Woman 2018, held at Sparta in Mandaluyong City and organized by the Strongman Federation of the Philippines. According to Querubin, he faced tougher competition this year and had to lift heavier weights to earn the top plum. “Double effort [ko] kay daghan na kaayo kusgan. And this year, weight was super heavy,” said Querubin. The Boholano won in three of four events in the open category and set an all-time Philippine record for the silver dollar deadlift as he lifted 400 kg. Querubin will next compete in Goa, India for the Strongman Champions League in December together with Johny Calulo of BAKBONS Gym in Tagbilaran City who won second place in the men’s under 105 kg category. 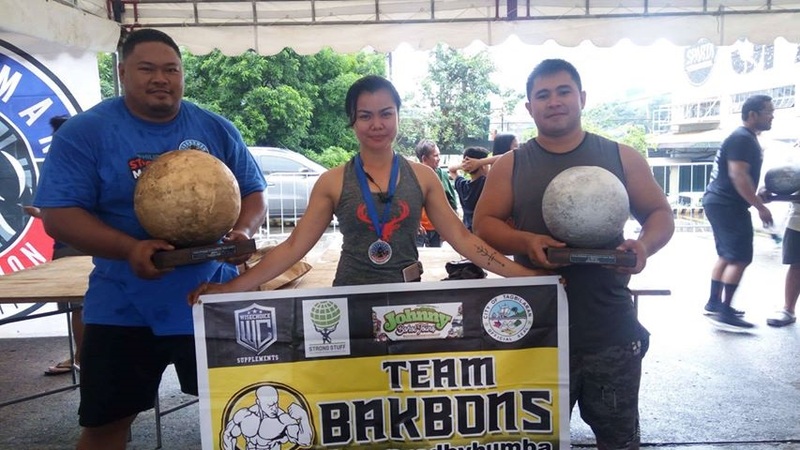 Meanwhile, Boholana Joannie Mary Cabilo, also of BAKBONS, placed fourth in the women’s under 64 kg weight class of the Philippines’ Strongest Man and Woman 2018. Last year, Querubin claimed the 9th spot in international strength ranking events organized by Static Monsters and held in various areas across the globe and for the first time, including the Philippines. Querubin competed against 400 participants from 10 countries. “My goal is to rank 1st worldwide and to make our country known for this—that we Filipinos can perform and compete with foreign athletes,” Querubin earlier said.